Each person deserves to pursue a hobby he finds enjoyable each time he is free. This becomes all the more necessary if you are a busy person. You need to have time for relaxation or enjoy some recreation since this is the only way to release stress and find yourself rejuvenated for the workdays to come. The problem is that your son may also require time from you. Hence, choosing a hobby that would require you to be far from home during your days off won’t be such a good idea after all. If you are about to choose a hobby, consider getting one that you could enjoy with your son. 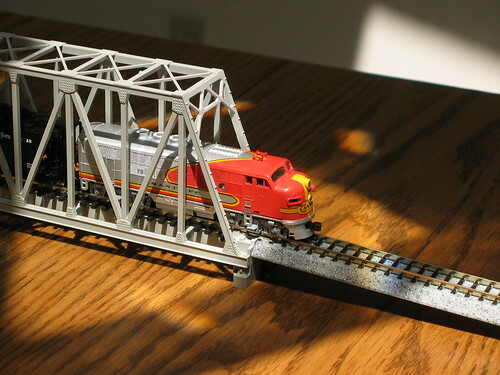 An example of this hobby would be to build electric train sets. You may think that you are too old for toys and that this may be just child’s play that would be impossible for you to enjoy. However, these are not just simple toys and these are not even ideally for children. It takes a certain amount of maturity and technical comprehension before one can actually enjoy this kind of hobby. Try buying a set and follow the steps stated in the manual and not too soon your son would be calling for you to assist him. Electric train sets are indeed fun and challenging. In fact, you may just prefer to build these by yourself and avoid the trouble of having someone else who may not be of much help. However, such an attitude would truly defeat the purpose of picking this type of hobby. It is not just a train set that you are trying to build when you have your son with you. You are also enhancing the quality of the relationship you have with your son when you do this. Every minute you spend in attaching the pieces should also be moments you take in forging a father-son rapport. For you not to end up arguing with your son while you two are building the set, you would have to discuss with him entirely the instructions that are found in the manual. This way you are actually teaching your son the significance of planning and organization in accomplishing a project. Such lesson will soon prove to be valuable when your son matures and decides his own paths in life. Besides this, the whole process of understanding the manual and discussing its details is also a great exercise for healthy communication with your child. 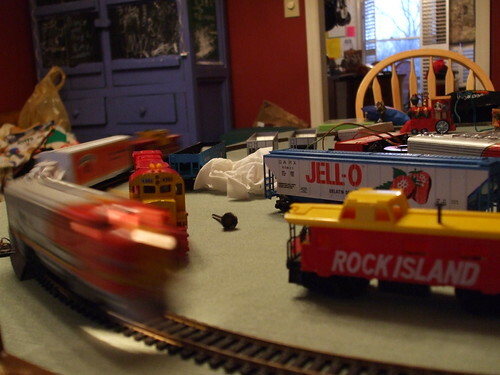 Creating electric train sets may only seem to be merely a pastime you do together with your son. However, when he gets older and when he actually starts to travel or even live separately, the lessons that you have imparted in these moments will always be at his disposal. Every time your son sees a running train wherever it may be he would be able to remember these days when you were building train sets together. Of course, it will not just be the memory of the model trains that will come to mind but also the success that you have achieved as a father. 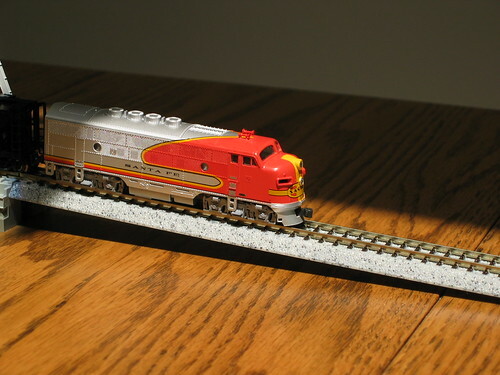 Find out more about Electric Train Sets by checking on Model Trains Info. A massive model train set with awesome lighting effects and lots of moving models. Matterhorn-Gotthard-Bahn Deh4/4 locomotive 51 has just arrived in Göschenen from Andermatt (Switzerland) on 19 December 2008. We just don’t have a landscape like this in Australia, and so I took every single opportunity I could get to try and capture trains in a winter wonderland setting. After initially ruling this photo out of my Powerhouse competition entries because it didn’t feel "arty" enough, I’ve gone back to this shot because my heart and my gut told me too. To me it just whispers calm and coziness.